1. 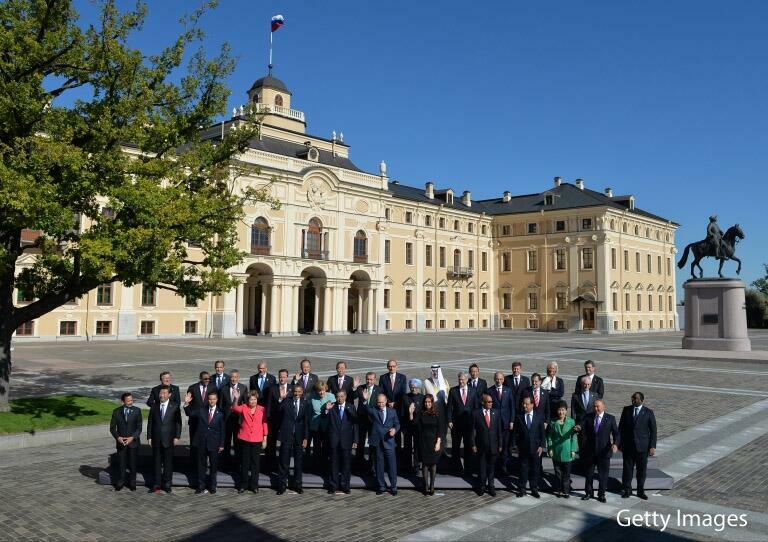 We, the Leaders of the G20, met in St Petersburg on 5-6 September 2013, united by our continued commitment to work together to strengthen the global economy. 2. Strengthening growth and creating jobs is our top priority and we are fully committed to taking decisive actions to return to a job-rich, strong, sustainable and balanced growth path. 3. In the five years since we first met, coordinated action by the G20 has been critical to tackling the financial crisis and putting the world economy on a path to recove ry. But our work is not yet complete and we agreed that it remains critical for G20 countries to focus all our joint efforts on engineering a durable exit from the longest and most protracted crisis in modern history. 4. Our most urgent need is to increase the momentum of the global recovery, generate higher growth and better jobs, while strengthening the foundations for long-term growth and avoiding policies that could cause the recovery to falter or promote growth at other countries’ expense. 5. We understand that sound and sustainable economic growth will be firmly based on increased and predictable investments, trust and transparency, as well as on effective regulation as part of the market policy and practice. Achieving a stronger recovery while ensuring fiscal sustainability. We have today agreed the St Petersburg Action Plan, which sets out our strategies to achieve strong, sustainable and balanced growth. Unemployment and underemployment, particularly among young people. We areunited in the resolve to achieve better quality and more productive jobs. Coordinated and integrated public policies (macroeconomic, financial, fiscal, education, skills development, innovation, employment and social protection) are key to reach this goal.We today committed to continue our efforts to support inclusive labour markets, with the exchange of country-specific plans or sets of actions, developed as appropriate according to our different constitutional circumstances. Importance of long-term financing for investment, including for infrastructure and SMEs to boost economic growth, job creation and development. Today we endorsed the work plan that helped us to assess factors affecting the availability and accessibility of long-term financing for investment and committed to identify and start to implement a set 4 of collective and country-specific measures that tangibly improve our domestic investment environments. Free and rules-based trade fosters economic opportunities. We stress the crucial importance of strong multilateral trading system and call on all t he WTO members to show the necessary flexibility and reach a successful outcome in this year’s multilateral trade negotiations. We extend our commitment to refrain from protectionist measures and aim at enhancing transparency in trade, including in regional trade agreements. Cross-border tax evasion and avoidance undermine our public finances and our people’s trust in the fairness of the tax system. Today, we endorsed plans to address these problems and committed to take steps to change our rules to tackle tax avoidance, harmful practices, and aggressive tax planning. We have agreed and are implementing a broad range of financial reforms to address the major fault lines that caused the crisis. We are building more resilient financial institutions, making substantial progress towards ending too-big-to-fail, increasing transparency and market integrity, filling regulatory gaps and addressing the risks from shadow banking. We will pursue our work to build a safe, reliable financial system responsive to the needs of our citizens. G20 countries have a responsibility to ensure that all people have an opportunity to gain from strong, sustainable and balanced growth. We endorse the St Petersburg Development Outlook to focus our efforts on concrete steps to improve food security, financial inclusion, infrastructure, human resource development and domestic resource mobilization. Corruption impedes sustainable economic growth and poverty reduction, threatening financial stability and economy as a whole. We will hold ourselves to our commitment to implement the G20 Anti-Corruption Action Plan, combating domestic and foreign bribery, tackling corruption in high-risk sectors, strengthening international cooperation and promoting public integrity and transparency in the f ight against corruption. Recognizing the need for sustained and concerted efforts we endorse the St Petersburg Strategic Framework. We share a common interest in developing cleaner, more efficient and reliable energy supplies, as well as more transparent physical and financial commodity markets. We commit to enhance energy cooperation, to make energy market data more accurate and available and to take steps to support the development of cleaner and more efficient energy technologies to enhance the efficiency of markets and shift towards a more sustainable energy future. We underscore our commitment to work together to address climate change and environment protection, which is a global problem that requires a global solution. We will continue to develop comprehensive growth strategies to achieve stronger, more sustainable and balanced growth in the context of fiscal sustainability. 7. Too many of our citizens have yet to participate in the economic global recovery that is underway. The G20 must strive not only for strong, sustainable and balanced growth but also for a more inclusive pattern of growth that will better mobilize the talents of our entire populations. 2013 have been marked down repeatedly over the last year, global rebalancing is incomplete, regional growth disparities remain wide, and unemployment, particularly among youth, remains unacceptably high. Despite our actions, the recovery is too weak, and risks remain tilted to the downside. In the last months financial market volatility has increased. Continued uncertainties about fiscal policy deliberations. 11. To address these challenges and to place the global economy on a stronger, more sustainable and balanced growth path, we have built on our previous actions with new measures as set out in the St Petersburg Action Plan (Annex). The Action Plan is designed to boost economic activity and job creation, support the recovery, and address near-term risks to the outlook, while strengthening the foundations for strong, sustainable and balanced growth through ambitious and well-targeted reforms. We will act together and implement all our commitments in a timely manner and rigorously monitor this process. 12. Our immediate focus is on creating the conditions to increase growth and employment with timely actions that build on the signs of a recovery in advanced economies to make it durable to the benefit of the whole global economy. 13. In this respect, the euro area commits to strengthen the foundations for economic and monetary union, including through further efforts to strengthen bank balance sheets, reduce financial fragmentation and moving ahead decisively and without delay toward a banking union. 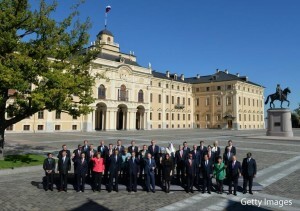 Advanced G20 countries agree to maintain a flexible approach in implementing their fiscal strategies, while remaining committed to sustainable public finances. Facing increased financial volatility, emerging markets agree to take the necessary actions to support growth and maintain stability, including efforts to improve fundamentals, increase resilience to external shocks and strengthen financial systems. 14. Monetary policy will continue to be directed towards domestic price stability and supporting the economic recovery according to the respective mandates of central banks. We recognize the support that has been provided to the global economy in recent years from accommodative monetary policies, including unconventional monetary policies. We remain mindful of the risks and unintended negative side effects of extended periods of monetary easing. We recognize that strengthened and sustained growth will be accompanied by an eventual transition toward the normalization of monetary policies. Our central banks have committed that future changes to monetary policy settings will continue to be carefully calibrated and clearly communicated. 15. We reiterate that excess volatility of financial flows and disorderly movements in exchange rates can have adverse implications for economic and financial stability, as observed recently in some emerging markets. Generally stronger policy frameworks in these countries allow them to better deal with these challenges. Sound macroeconomic policies, structural reforms and strong prudential frameworks will help address an increase in volatility. We will continue to monitor financial market conditions carefully. 16. We commit to cooperate to ensure that policies implemented to support domestic growth also support global growth and financial stability and to manage their spillovers on other countries. 17. We reiterate our commitments to move more rapidly toward more marketdetermined exchange rate systems and exchange rate flexibility to reflect underlying fundamentals, and avoid persistent exchange rate mis alignments. We will refrain from competitive devaluation and will not target our exchange rates for competitive purposes. We will resist all forms of protectionism and keep our markets open. 18. We are also committed to strengthening the foundations for long-term growth through implementing ambitious and targeted reforms designed to ensure fiscal sustainability, boost investment, increase productivity and labor force participation, and address internal and external imbalances. 19. Achieving a stronger and sustainable recovery, while ensuring fiscal sustainability in advanced economies remains critical. As agreed, all advanced economies have developed credible, ambitious, and country-specific medium-term fiscal strategies. These strategies will be implemented flexibly to take into account near-term economic conditions, so as to support economic growth and job creation, while putting debt as a share of GDP on a sustainable path. A number of emerging market economies have also laid out key elements of their strategies to promote fiscal sustainability. 20. Recognizing the need to push ahead more urgently with important structural reforms, we have reset our reform agenda along more relevant, concrete and well targeted lines. Members have committed to a wide range of reforms to strengthen the foundations for strong, sustainable and balanced growth over the long term by boosting investment, addressing fundamental weaknesses, enhancing productivity and competitiveness, increasing labour force participation, improving financial stability and credit access, and addressing internal and external imbalances. These reforms are key to achieving a lasting improvement in potential growth, job creation and rebalancing demand. 21. We are determined to achieve more progress toward broad based re-balancing of global demand. While global current account imbalances have declined, reflecting in part important reforms in a number of countries, a substantial part of this progress has occurred due to demand compression. In order to ensure a durable improvement as global growth strengthens, we are determined to undertake further policy adjustments toward re-balancing global demand between surplus and deficit countries, as well as internal rebalancing. In this respect, it is essential to achieve stronger domestic demand growth in large surplus economies, increased savings and enhanced competitiveness in deficit economies and more flexible exchange rates. We are committed to actions in all these areas and will regularly assess progress. 22. The St Petersburg Action Plan sets forth our reforms for achieving strong, sustainable and balanced growth. Further, our Accountability Assessment describes the progress we have made on past commitments. We will identify the remaining key obstacles to be addressed and reforms needed to achieve stronger, more sustainable and balanced growth in our economies. We ask our Finance Ministers to develop further the comprehensive growth strategies for presentation to the Brisbane Summit. Full document can be download here.